Did a half day fishing trip catching 35 inch Snook. Captain Ames is an excellent instructor for a couple of salt water novices. Beautiful boat, great equipment, highly recommended ! A little bit of a late start, but Captain Stewart was great at communicating where he was and when he wouldf be arriving. He kept our appointment depsite having to use another boat as his was being upgraded at the time. In any case, he was a terrific guide, put us right on the fish and we all caught something, including some big grouper, and highlighted by a big old Kingfish that took us over 30 minutes to reel in. A great guide, and you really will catch stuff! 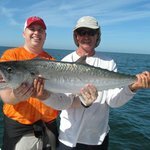 After hiring most every high profile fishing Captain from New Port Richey south to Fort Meyers I have to say that this man Captain Stewart Ames, is really the Pro's Pro. Not only has he been the most knowledgeable, hard working, gentlemanly Captain I've hired in the past 30 years he also is very flexible with those in his boat. If the fish are biting he'll know where and when and not waste your time driving you around and spending your money on scenery. It should be called "Gone Catching Charters" because that's all we did, catch, catch, and catch. 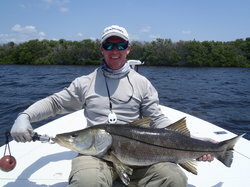 On my most recent trip a week or two ago he put my son and I on all the trout, giant reds and snook we could handle. My son and I had more fun together than we've had in years and booked two more trips with him in July. One trip with Capt. Ames and you'll be hooked. Definitely worth every penny you can muster up. 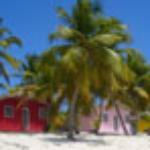 I recently booked a trip for me and my teenage Grandsons. What a day we had!! Capt. Ames put us on fish within an hour. We caught quality fish all day long. 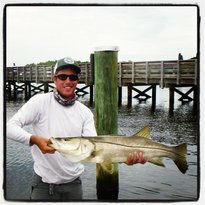 Lots of Bull Red Fish, Big Snook and huge Sea Trout. That's what we call a Grand Slam!! We are all experienced fishermen, but we definitely learned a few new tricks that day. I can't compliment Capt. Ames' enough. His vast fishing knowledge and experience is evident from the very moment you step on his boat. Stewart Ames is not only a great guide, but very personable and likable and fun to fish with. We have not stopped talking about our best day of the best fishing ever. No matter what you level of fishing is, I recommend Capt. Stewart Ames. You will be happy you did. Best guided trip I have ever been on. .
We recently held a "fishing tournament" for our company with employees, families, and kids. One call to Captain Ames (who we have used many, many times) had us 6 boats all with great captains. They all worked together and even on a busy weekend found us places where nobody else was. And we caught fish ... LOTS of fish. Big Kingfish, Grouper, Spanish Mackerel, and a host of other fish. Everyone including spouses and kids had an unbelievable time. Captain Ames and Gone Fishing Charters made our event AWESOME. 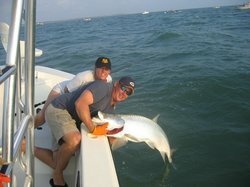 If you want to catch fish, deal with a professional, and have fun ... we can't recommend Captain Stewart Ames enough ! This is the second charter I've taken with Stewart, and it was another fantastic experience! I would definitely recommend this charter for anglers of any experience level. Not only did we have incredible action, but I learned a tremendous amount that will improve my own success in the future.